Adding Mission Rewards to your Mission Fed Platinum or eligible Classic Credit Card gives you a wide variety of exciting rewards options. And the choice is yours. There’s something for everyone—and we’re adding new offerings all the time. You can see all the options even if you don’t have Free Mission Rewards yet—check them out at rewards.missionfed.com. 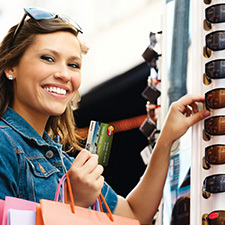 There is no annual fee for Mission Rewards, unlike many other rewards credit card programs from other companies. 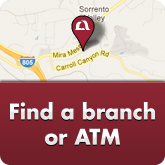 Check your point balance or redeem your rewards when and where it’s convenient for you. 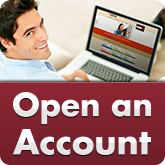 Just log into Mission Fed Online Banking, or use the Mission Fed Mobile Banking app. 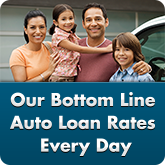 Or call 800.388.1881 for assistance over the phone. 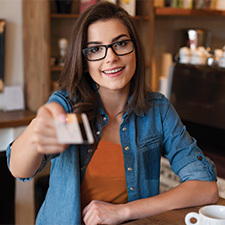 To enroll in our Mission Rewards Credit Card program, call us at 858.524.2850 or 800.500.6328, or visit any branch, or send us a secure message within Online Banking. 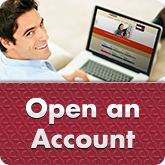 Apply for a Credit Card online today! 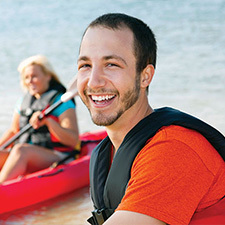 Mission Fed Credit Union gets it. They understand the challenges we face in life, and they stand beside us to meet them. Be it a car loan or credit card, your very first account or you've been a member all 50 years, Mission Fed treats you like a VIP.-Mary Anne C.
Mission Rewards video on YouTube - Description: The speaker is a Mission Federal Credit Union employee and is standing in a Mission Fed branch. Throughout the entire video, they address the camera directly. Please use the YouTube captions functionality to access an alternative to the audio portion of the video. You’re headed to Mission Rewards! 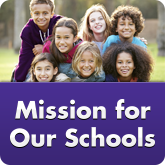 You’re leaving MissionFed.com to go to the website of our credit union partner who manages our Mission Rewards service.